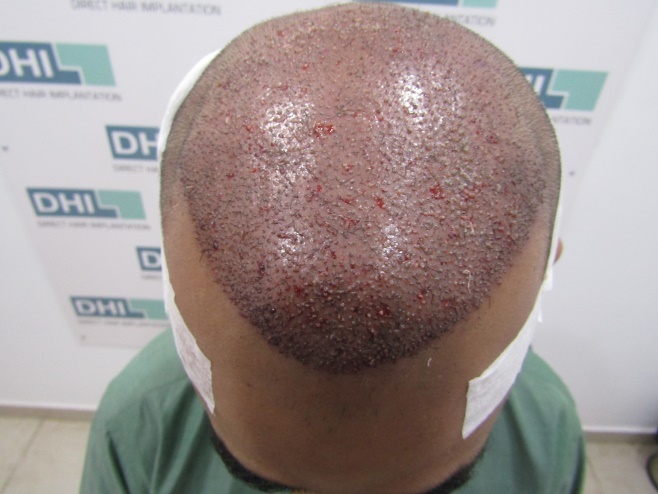 Pioneer in hair restoration and transplant since 1970, DHI International is setting new benchmarks all the time. 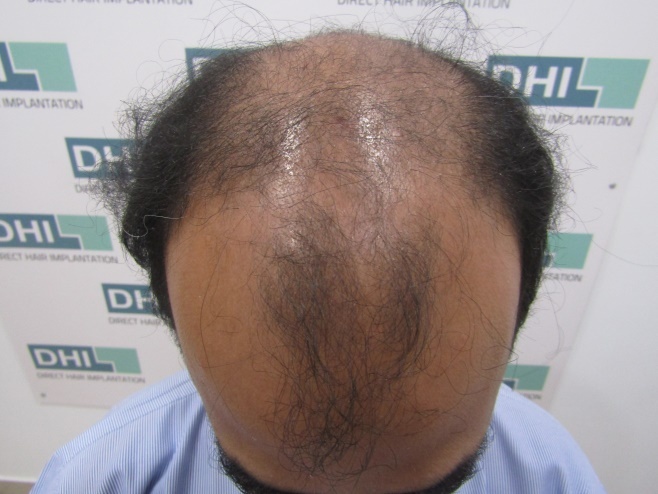 Recently, we performed a hair transplant with 7,075 hairs in just 7 hours for a 41 years old patient who was suffering from grade 4 androgenetic alopecia. 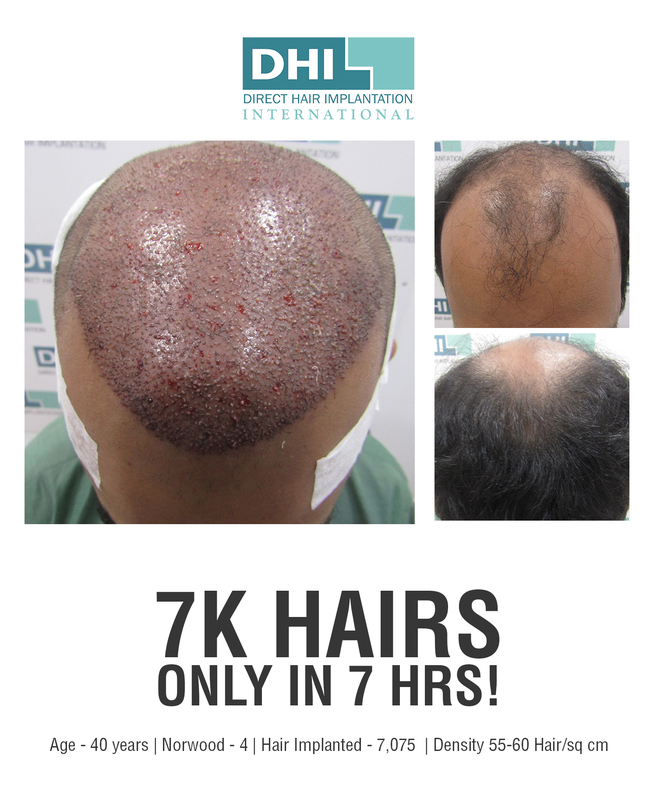 Clinics around the world perform hair transplant procedures of up to 2,000-3,000 follicles in a day as compared to this procedure of 7000+ follicles. 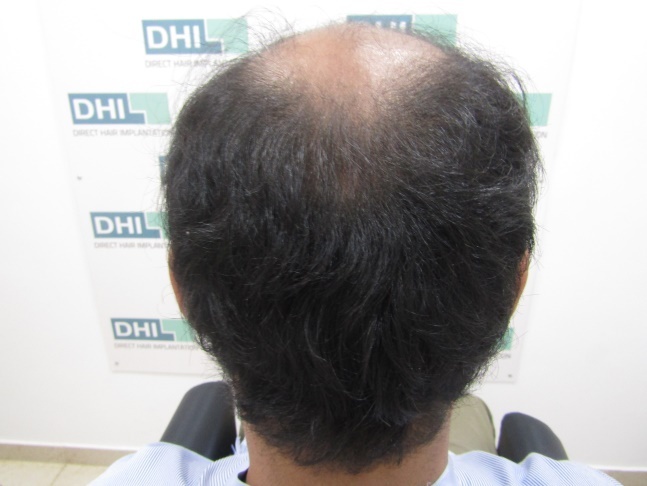 This is possible only because of DHI’s highly skilled master surgeons who are all trained and certified by DHI London Hair Restoration Academy, who operate under strict safety and operating protocols of DHI, using patented single use instruments. For this procedure, the master surgeon extracted 3,355 grafts, total hair count of 7,075 in only 3 hours and 24 minutes only from the safe donor area, leaving enough hair for natural density. The implantation was done immediately in Zone A and B of the scalp with a high density of 55-60 hairs per square centimetre. While performing this procedure, the master surgeon followed strict ADT (Average Density Target) and MET (Minimum Extraction Target) protocols of DHI. 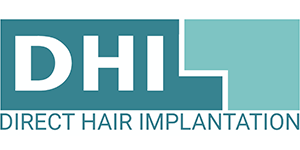 At DHI, hair follicles are extracted one-by-one with specialized titanium quoted fine instruments causing no trauma to the existing follicles, under strict protocols made this extraction count possible. 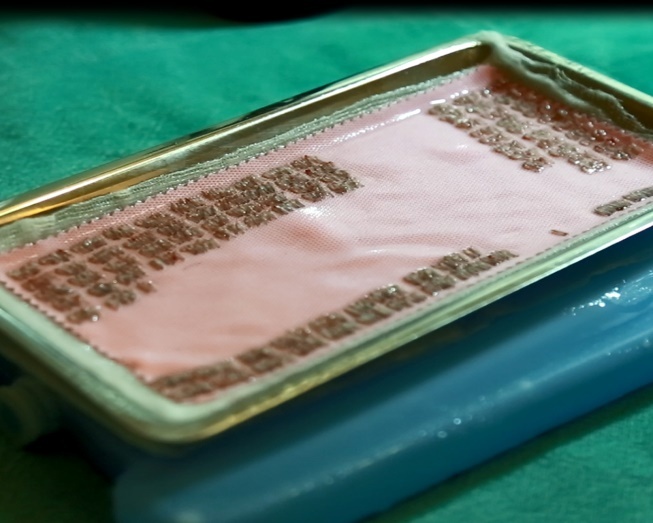 As per DHI protocols, the implantation is done immediately for maximum graft survival. The graft survival rate at DHI is a verified 97% as compared to industry average of 50%. With DHI’s most advance Direct Hair Implantation technique, perfected over 5 decades, natural lifetime results are a certainty.